The 20th century was defined by the German Nazi dictatorship between 1933 and 1945. Good and evil, beauty and ugliness have since been related to this important period in modern history. Two promises Hitler made to the German people in his political work Mein Kampf from 1925 constitute the core of Nazism, namely Lebensraum [living space] and the racial purity of the German people. The Third Reich’s design and propaganda manifested the extreme, ostensibly contradictory intentions of Nazi ideology. Presenting on the one hand the comforting utopia of a nostalgic Blut & Boden [blood & soil] culture, and on the other the temptations of the unstoppable march of technological modernity. 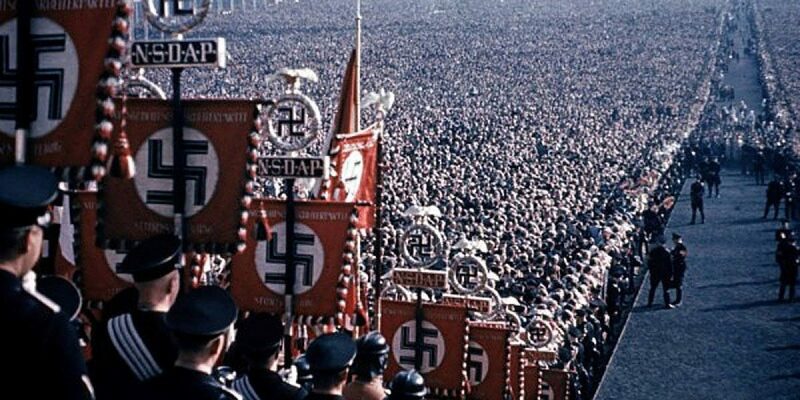 A megalomaniacal state and party classicism sealed the claims of the Third Reich to historical perpetuity. The exhibition Design van het Derde Rijk [Third Reich Design] analyses the significance of the traditional and modern design elements used by the totalitarian German state, the influence of which is still felt to this day. The exhibition will make use of important loans and expertise from major museums and other institutes in Germany and the Netherlands, including the Deutsches Historisches Museum in Berlin and the Institut für Zeitgeschichte in Munich. This exhibition does not offer an experience, but a key to understanding. The exhibition is part of the commemoration 75 jaar vrijheid [75 Years of freedom].